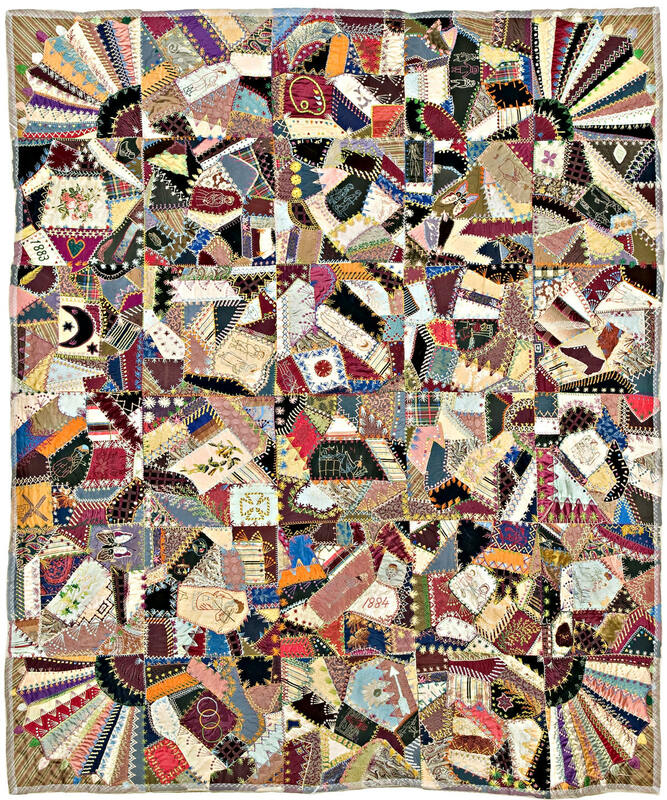 This amazing crazy quilt with the circular fan in the middle was featured by Kerri Murphy of California on her blog: Crazy Stitcher. 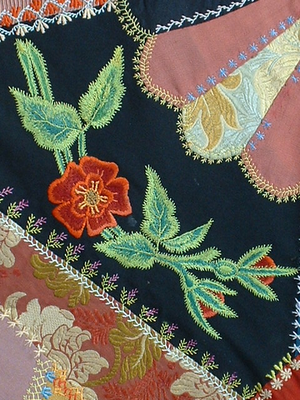 She has lots of eye candy there for crazy quilt lovers (like the close-up below). 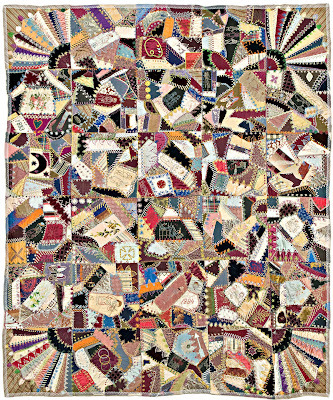 This stunning crazy quilt (above) was made by Stewart West in 1883. 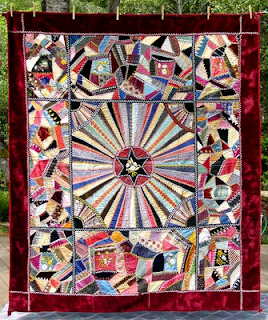 It now resides in the San Jose Museum of Quilts and Textiles. It was featured by CQ Magazine Online. Wowie! 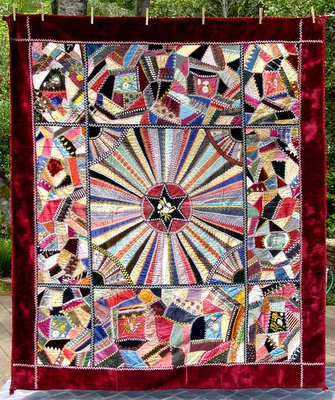 I love crazy quilts. This is real eye candy. Oh my! Eye candy indeed. Do You Like Bed Scarves? Word Play Quilts - Giveaway Winner! Everybody Loves a Scrap Quilt! Thelma's Red and White Quilt! Carol's Word Quilt and Giveaway! Queen Size Scrap Hexie Quilt! Hexie Quilts - Signed Book Giveaway!